Open: 8am to 5pm weekdays, 9am till noon Saturdays. After hours service available on request. Enquiries are welcome by Mail, Phone, Fax and E-mail: sales@schrodoco.co.nz, or use the below form. 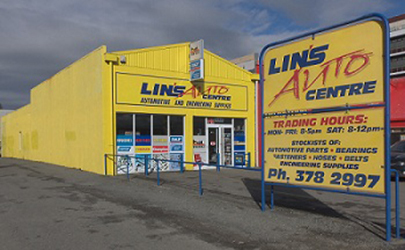 A Lins Auto catalogue and Schrodoco catalogue are available on request, or you can download a copy form the Catalogues page. Payments: Cash, Cheque, Eft-Pos, Visa, Mastercard, American Express, Farmacard or direct to our bank account: R C Schroder, BNZ 02-0568-0433976-000. We also accept Laybys for purchases over $50, see in store for more details. If you would like to become a Trade Customer, please download a copy of our Account Application Form. Also find here a copy of our Conditions of Sale.